Targeted ventilation exactly where you need it and Merino Wool offering superb softness. The Mens Lightweight Merino Cool Sock also provides excellent thermal and moisture control properties. 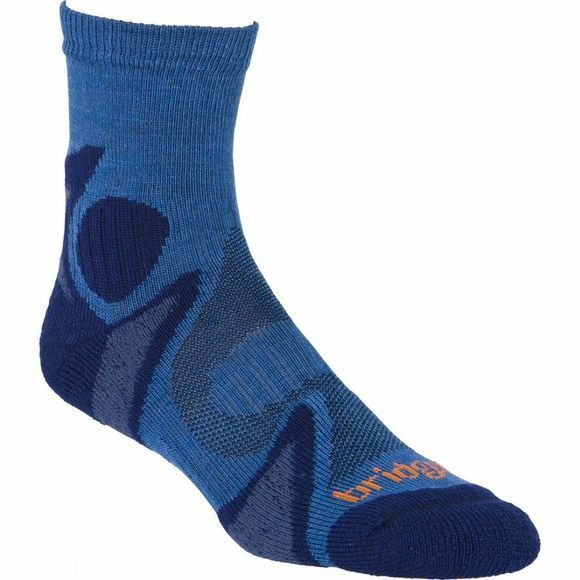 Bridgedale T2 anti-compression cushioning at achilies, heel and metatarsal head.